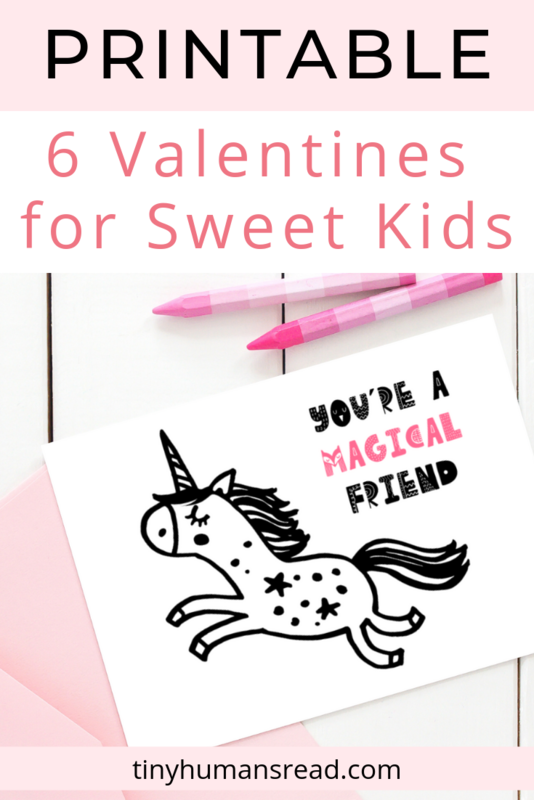 Six super sweet printable valentines for kids to give out to their classmates, neighborhood friends, or just to family members at home. Each printable valentine has a designed front and an area on the back to personalize who it is “To” and “From.” Throw kindness around like confetti this Valentine’s Day! Perfect and at home every time! Click on the download link above to open the printable. Open the file from your computer. Adjust any paper settings to select the paper type you're using, such a regular paper or cardstock. Uncheck any 'Fit to Page' option and enable your printer's 'Print Actual Size' or 'Print at 100%' option. Print the PDF and trim any excess. Our printables for kids are sized to print on 8.5"x11" unless otherwise mentioned. Our wall art and decor printables are created to print on 8.5"x11" and be trimmed to fit 8"x10" frames. 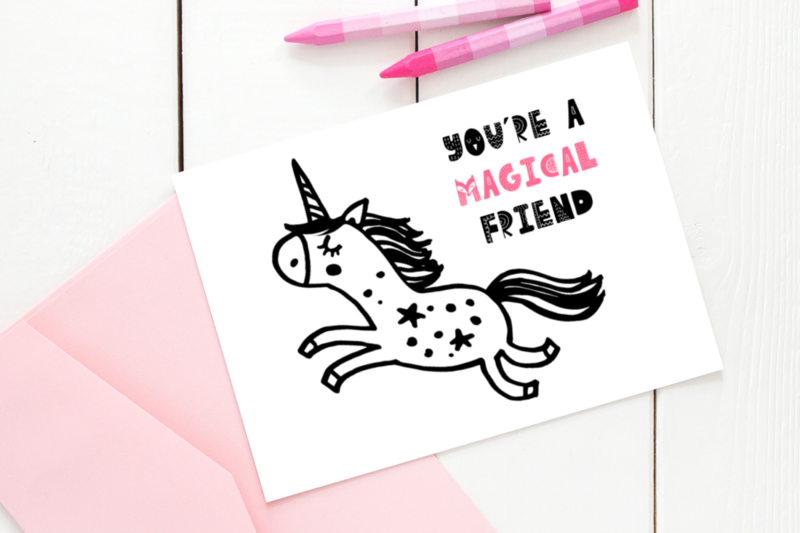 Join our VIP mailing list to get new printables right to your email!